An entrepreneurial lawyer and startup enthusiast, Roma advises early-stage startups, emerging growth companies, incubators, accelerators, angel investors, family offices and venture capital/private equity funds. A mentor to entrepreneurs and high growth startups, Roma actively conducts workshops and mentorship programs in collaboration with various organizations and Govt. initiatives such as Invest India. In 2015, Roma envisioned a law firm that is innovative and collaborative with startup entrepreneurs providing affordable and quality legal advisory and support. Over the last 8+ years, Roma has worked with over 500 clients and with her distinctive perspective and strong market understanding she advises them on complex legal issues ranging from formation to exit including angel investment, venture capital/private equity financing, convertible-debt financing, acquisition, founder compensation, employment, stock option plan and contract negotiation. Roma believes in adding real value to her clients by focusing on building long-term relationships with them and understanding their business needs. Belonging to a school of thought that is contemporary, adaptive and dynamic, Roma has imbibed the same in Burgeon Law. For her contribution to the start-up ecosystem, Roma was awarded The Build India Award for excellence in the field of investment. Burgeon’s anchor at Bangalore office, Smriti leads the corporate commercial team at Burgeon Law. 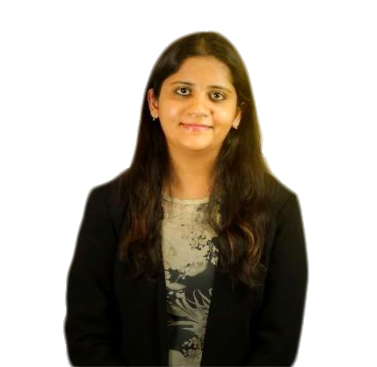 With a vast experience of 8+ years, Smriti specializes in the areas of technology law, intellectual property and general corporate commercial work. She has worked extensively with E-Commerce, Data Intelligence, Data Analytics, FMCG, Health Tech, sectors as well as data driven curated marketplaces for educational products and services, advising on a wide range of issues from general corporate, strategic alliances to structuring transactions. She has a nuanced understanding of business and legal perspective and represents clients in the online gaming sector and various other start-ups. 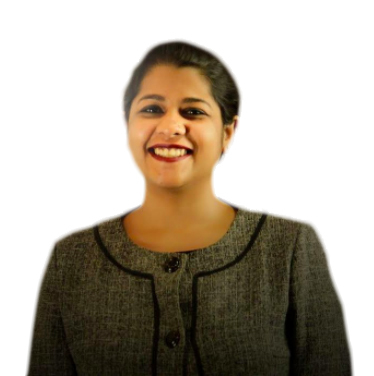 Smriti is known for her ability to provide commercially viable resolutions to achieve client’s business objectives by blending legal advice and practical experience. Her technologically savvy inputs and understanding of operation and requisites of small and large enterprises alike, makes her invaluable to any business transaction. Jitender leads the compliance and due diligence team at Burgeon Law. With 7+ years of experience as Company Secretary, Jitender has led several significant assignments, providing both hands-on legal advice as well as overall strategic inputs. He has an extensive experience in a wide range of practice areas including Corporate Compliance & Management, Foreign Direct Investment, Joint Ventures, Mergers & Acquisitions, Secretarial Audit, Due-Diligence, Approvals of the Ministry of Corporate Affairs, Compounding of Offences under the provisions of the Companies Act, 2013, Corporate Governance Auditors and FEMA Compliances. In addition to his practice, he is the co-author of “Company Law Premier” publication of the Institute of the Company Secretaries of India (“ICSI”) and member of research committee of CCGRT of ICSI. Jitender is a frequent speaker and presenter at ICSI conferences and seminars. Burgeon Law collaborates with the Aman Avinav for litigation and dispute resolution matters. 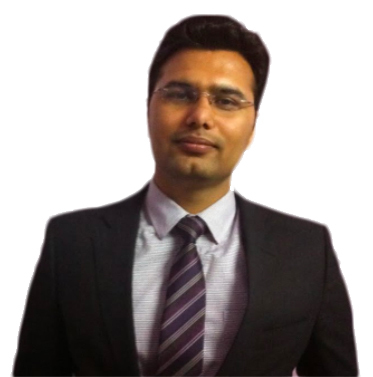 Mr. Avinav has diverse experience in handling disputes involving corporates and start-ups including contractual/commercial disputes, statutory compliances, white collar crime etc. He has worked with some of the big corporate brands such as Adidas, Walmart, RBS, Mitsubishi, Reebok International, DS Group etc. and successfully represented them across forums, including the traditional courts and regulatory tribunals. He brings with him a deep understanding of the corporate structure, the legal & regulatory sphere and professional experience, which underlines a seamless strategy and accentuates its effective execution. A Graduate from London School of Economics and Political Science, Neha is a dispute resolution lawyer. Before joining Burgeon Law, Neha was working in the IP litigation team of a reputable firm in India where she handled numerous cases in the the Supreme Court of India and various High Courts and tribunals across India. She has represented several multi-national and national companies in diverse fields including intellectual property law, competition law, criminal law, IP enforcement among several others. She is an external member at Internal Complaints Committee (ICC) under the Prevention of Sexual harassment of women at workplace Act, 2013. In addition, Neha assists Burgeon team with workshops, collaborations and business development function. Harveen focuses on General Corporate Commercial transactions in Bangalore office. With an experience of more than 4 years, she has assisted Fortune 500 companies, banks and non-banking financial institutions with privileged review of documents, due-diligence and commercial contracts. A qualified lawyer from National University of Advanced Legal Studies, Kochi, Harveen provides assistance and advisory to clients including start ups, MSMEs and large organizations in a wide spectrum of areas including data protection and privacy, third party agreements including licensing agreements, partnership agreements, consultant and white labelling agreements, data protection and privacy and intellectual property protection and commercialization. Harveen is passionate about working with entrepreneurs, especially those bringing disruptive technologies and business models to the market. Sona has an extensive experience of successfully closing a number of high value complex transactions at Burgeon Law. She actively provides legal advisory and services to startups, SMEs and large corporations in corporate and investment transactions, commercial contracts, founder agreements, employment contract and stock option plans and franchising. A law Graduate from University of Manchester, Sona has previously worked with a fintech start-up in London and many organizations in India in multiple industries including healthcare, FMCG, e-commerce amongst others. Sona brings a blend of astute legal advice with a deep understanding of the commercial drivers for transactions that underpin the growth of the value of a company. Aastha has an expertise in corporate laws, compliance and regulation. She has worked with a number of start ups, angel investors, venture capitalists and has an in-depth understanding of the commercial transactions. At Burgeon Law, she assists in varied practice areas including drafting and vetting of share subscription, transfer and shareholder agreements, third party contracts, employment agreements and stock options plan and assists in general corporate commercial advisory. A Graduate from University of Delhi and a qualified lawyer, Aastha has actively assisted a number of accelerators including GSF, India Accelerator, I-Start ups by the Govt. of Rajasthan amongst others. She understands the nuances of commercial legalities throughout the life cycle of an entity and is well versed with corporate laws to provide expert advisory to clients in multiple sectors for eg. FMCG, fintech, healthcare, media amongst others. Zeni has an experience in the practice area of intellectual property law including due diligence, prosecution and monetization. 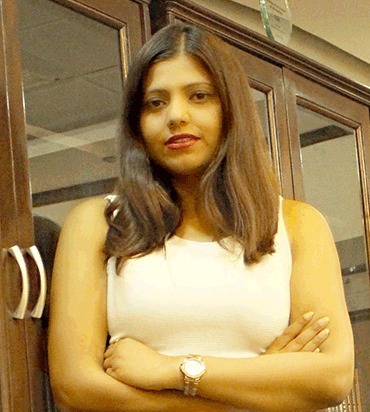 Before joining Burgeon Law, she has worked with veteran lawyers and reputed law firms in India assisting in major IP transactions, franchising and licensing transactions for brands in multiple industries including fashion, hospitality, social networking, FMCG, Pharmaceutical industries among others. At Burgeon Law, Zeni assists clients in the area of commercial and transaction laws including business formation, third party contracts, founder agreement, employment contract and stock option plans, share subscription, transfer and shareholder agreements and franchising amongst others. A graduate from Lady Shri Ram College and a qualified lawyer, Zeni understands the legalities of commercial transactions providing active assistance alongside compliance team of Burgeon Law to clients in multiple sectors or industries. A Graduate from Queen Mary University of London with specialisation in corporate and commercial laws, Meghna is passionate about entrepreneurship and fostering growth of early ventures. Before joining Burgeon Law, she has worked as a paralegal with a firm in London assisting various solicitors and lawyers in the area of corporate laws and regulation. Meghna has global exposure and avid understanding of claws to assist clients in multiple jurisdictions, markets and industries. At Burgeon Law, she provides services in the area of third party contracts, franchising, employment agreements and stock options plan and assists in general corporate commercial advisory. Meghna works alongside compliance and secretarial team at Burgeon Law to provide timely and constant legal assistance to clients. Vritika is a qualified lawyer with an experience of working on projects relating to corporate and commercial contracts at one of the big fours. At Burgeon Law, she practises in the area of commercial law providing assistance to clients in wide areas of requisites including business formation, founder agreement, employment contract and stock option plans, franchising, third party agreements including licensing agreements, partnership agreements amongst others. 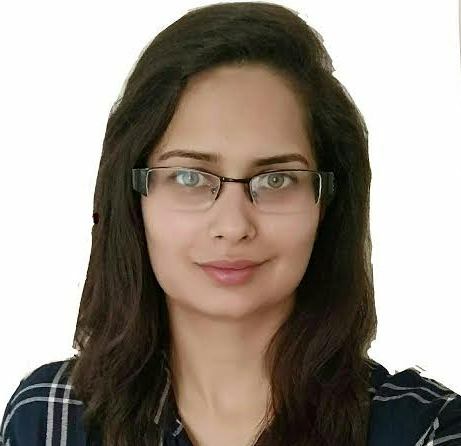 Before joining Burgeon Law team at Delhi office, Vritika has gained experience at the in-house legal team of leading organizations including Hindustan Coca Cola Beverages Private Limited and Atlas cycles Ltd. providing legal support in reviewing and vetting of contracts. She has also previously assisted a leading law firm in the area of due diligence, compliance and regulation.